Jon Lester finished last year strong, to say the least. After the All Star break, he was 7-2 with a 2.57 ERA and 74 strikeouts to 22 walks in 87.2 innings, according to ESPN. That, coupled with his postseason performances, has set him up nicely to be the ace of the staff this year. But, more than that, he's set up nicely to make a serious run at a Cy Young, and here's 5 reasons why. 1. Momentum/Confidence: As I mentioned above, he finished last season strong, ending in a Fall Classic performance that could have easily earned him a World Series co-MVP with David Ortiz. I'm sure he'll look to build on that in Spring Training and into the 2014 season. 2. No serious injuries last year: He made a full 33 starts last year, and you would have to go back to 2007 (when he was just coming back from cancer) to find the last time he didn't start 30+ games. That consistency will serve him well in 2014. 3. He's a big-game pitcher: He showed up in the biggest games in September and October, including against Detroit's Max Scherzer in the beginning of September. He was also a big part and probably the most important part of the pitching staff in the postseason which consistently stepped up while the offense was struggling. 4. His stuff was overpowering in the postseason: He was on-point for the postseason because his stuff was simply overpowering to the point of opposing players thinking he was cheating. That was simply not true, though - his stuff was just that good. If he keeps that up, he should be in the thick of a Cy Young race. 5. 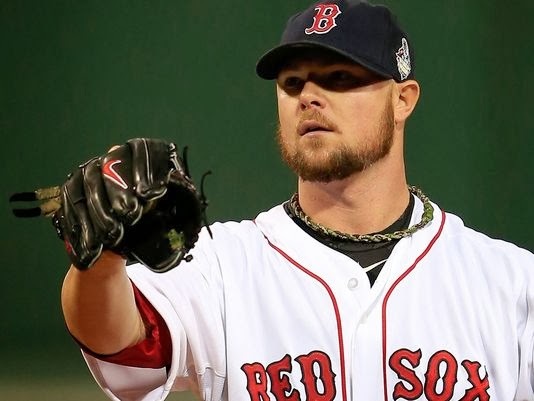 It's a contract year: The fact that Jon Lester is in a contract year will definitely mean he'll be pitching with an extra edge because he wants a contract extenesion from the Sox. Does it gauruntee he'll be a Cy Young candidate? Probably not, but I think he'll try to replicate his success through the 2nd half of last year throughout the season. And if he is successful, he will be in the mix. Thoughts? Let us know on Twitter (@RedSoxLife) or leave a comment.